In March-April 2019, I am buying really a lot, so tempted. It is the time to buy my new lips, I wondered to buy Chicca, indeed seems the order of THREE Demure Lipstick is increasing. 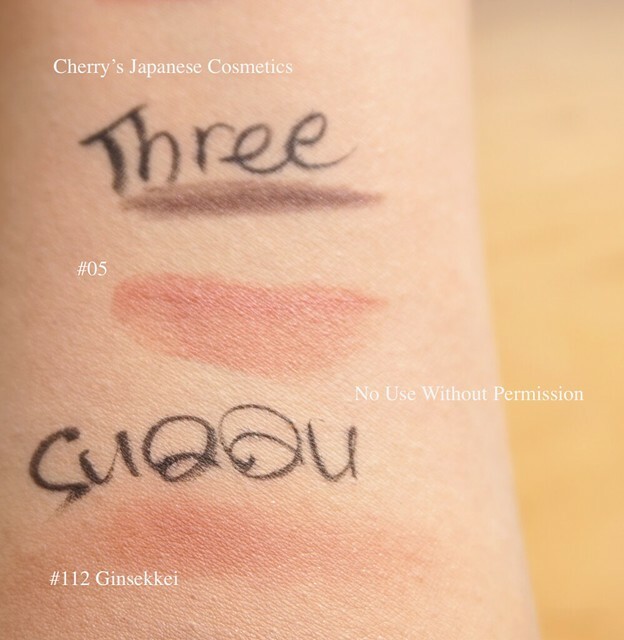 Previously, THREE’s lipsticks are not hit in Japan, but this formula of SS2019 are better reputation. I bought THREE DARINGLY DEMURE LIPSTICK. The color is #05 Sound of Freedom. 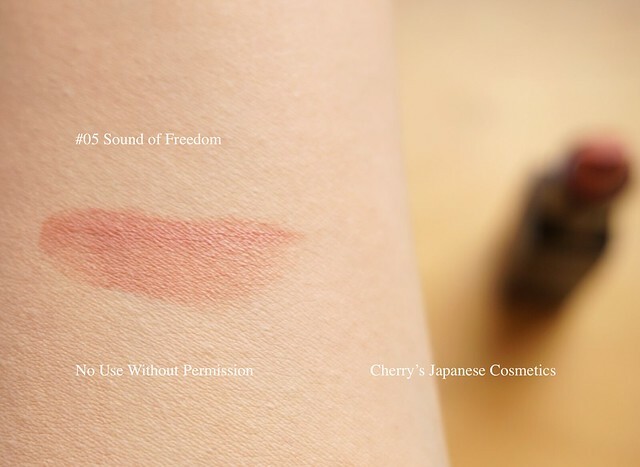 There are two types for SS2019, this “Demure” is glow, and “Distinct” is matte. For matte lips, I often get pealed, I do not choose for my use. I had used THREE’s liquid lips, and I have not gotten pealed. It is quite good. Also, no-perfume lips are essential to use for myself. Also, the lasting is good. The color of #05 is beige-coral pink. It is not slight coloring, however I do not think it is quite “glow”, it is not shine-less product, but if you want to let your lips shining please choose lip oils or glosses. This modest color is typically the image of early 00s. I used to wearing coral lips :). The reason why I chose this, I reminded my daily eye makeup, SUQQU Designing Eye Color #112 Ginsekkei (limited for 2017). There red/ orange powder, below of “SUQQU” letters are. I often use this eyeshadow palette for my blush too. I wanted to buy the nearly color for my lips. I am so satisfied!